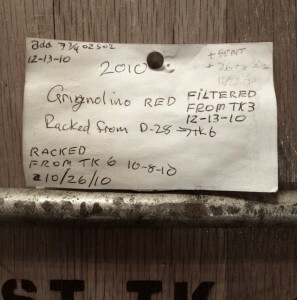 There is a little grape called grignolino that almost no one knows what to do with. Hailing from the northern Piedmont, where it is mostly consumed locally (and, even there production is declining) the grape is not widely known. I have heard it referred to as “the little strawberry,” a name it aquired not because of its size (the berries are quite large and juicy), but because of its fresh, fruity, at times leafy aromas and its high seed count, and perhaps the color of the wine it produces. 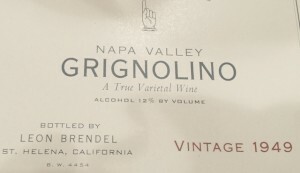 For reasons unclear at this time, a French immigrant named started growing grignolino grapes in Napa Valley in the 1940s (labeling the wine brazenly by its varietal name rather than deferring to a more generic term like “Burgundy” — a popular strategy at that time). When the now-legendary cabernet sauvignon producer Heitz Cellars purchased his winery in 1961, they inherited the fanatical Frenchman’s grapes. In fact, it was the first wine that Heitz Cellars ever made. Now run by David and Kathleen, the children of Alice and the late Joe Heitz, Heitz Cellars is blessed-slash-cursed with carrying on the tradition (after the White Zinfandel craze when anything pink or even light red was shunned by serious wine drinkers, sales suffered). The vines have been replanted twice and there are currently five acres growing in sandy soils on the 160-acre St. Helena estate at the end of Taplin Road. 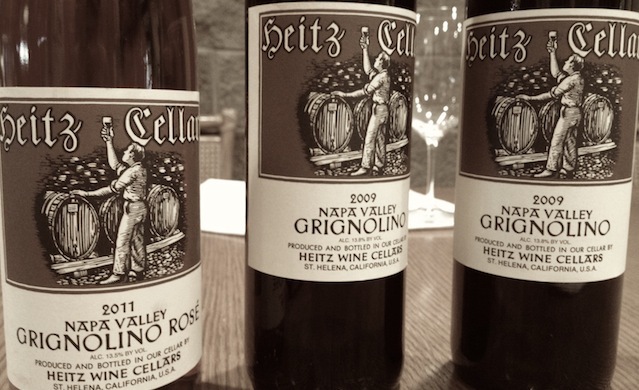 Heitz is the only winery in Napa Valley to still grow the grapes and make the wine — and maybe the only winery that could pull it off. If it weren’t for Heitz’s reputation, name recognition and history, convincing people to try such an unusual varietal would likely be all but impossible. Grignolino is a thin-skinned, early ripening varietal that, says David Heitz with shrug “isn’t that hard to grow.” From the fruit they harvest (at 22-23 degrees brix in mid-September), some of it is bled off into a delightful and dry rosé. The rest is put through a regimen similar to the one Heitz use for its cabernet sauvignon: fermented in stainless steel tanks until 5-6 degrees brix and then transferred to large American oak casks where it finishes fermenting until dry. 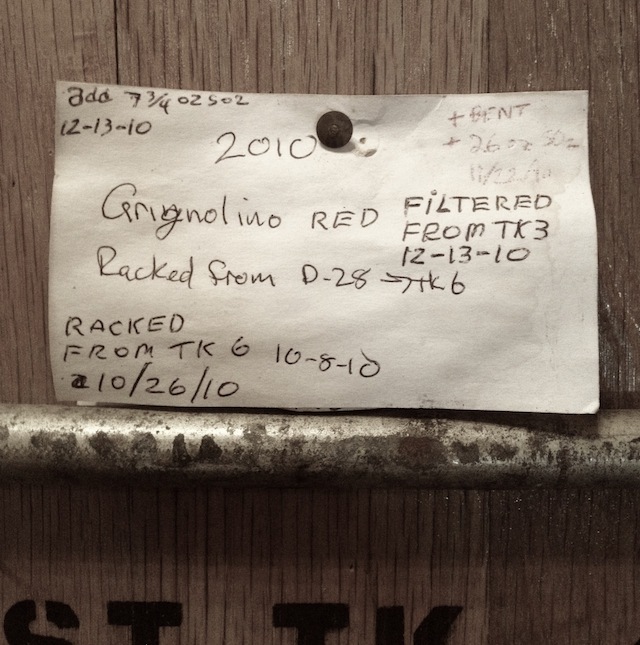 But unlike the cab which is aged in new French oak (exclusively the loose-grained Limousin) for two years and in the bottle for another year-and-a-half before releasing, the Grignolino is best enjoyed young.